Private investigator Johnny Delarosa’s seen it all. Cheating spouses, greedy embezzlers, insurance scammers—it’s all part of the game to him. 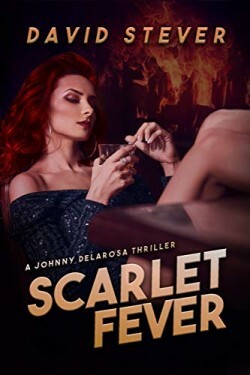 But when a drop-dead gorgeous redheaded mystery woman walks into his bar and drops a $20,000 retainer in his lap, he knows he’s met his match. Claire Dixon wants the hard-drinking Johnny to find $2 million that was stolen from her mob-wife mother thirty years ago, but the money is only half the mystery. When every lowlife in Port City suddenly comes out of the woodwork to claim their share of the take, suddenly Claire’s nowhere to be found—and the body count starts to climb. With the help of a bright young amateur sleuth, can Johnny crack the case before the streets of his beloved Port City run scarlet?